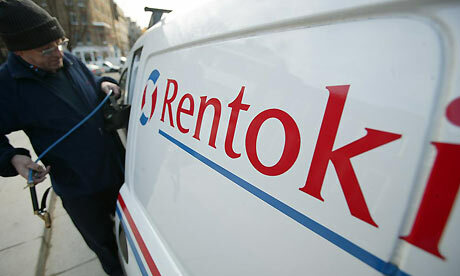 Pest control firm Rentokil Initial - known as the queen's rat catcher - has sold off its parcel delivery business City Link for a quid, ending several years of heavy losses. Trying to squeeze some profit out of City Link has been akin to a game of cat and mouse for Rentokil since it acquired the company back in 2006. It has lost money on the venture every year since the purchase, including a massive loss of £26m last year alone. The problem has been shrinking demand from SMEs for postal services as the internet and email take an ever firmer hold of the way people do business. Rentokil is selling City Link to the private equity outfit Better Capital, which is apparently planning to inject £40m into the delivery business to make it work. Only recently, Better Capital invested in the fashion label Jaeger and the double-glazed windows firm Everest, so it has experience of taking over struggling firms with plans to turn them around. In a statement, Rentokil said that the existing management team would be kept on to run the company, although we suspect that Better Capital could well be minded to get some new blood in there if any more losses are accrued. Rentokil boss Alan Brown said: ‘I believe City Link has now turned the corner after five years of substantial losses.’Shareholders obviously appreciate the move to focus on the pest control and hygiene business, as the share price in Rentokil rose by more than 4% in morning trading on Monday.